Jeff Jones has taken his bike products down a unique design path over the last decade. You’re perhaps familiar with the popular Loop Handlebar, but Jeff also produces framesets in his own style too. 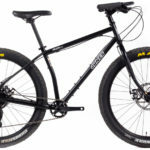 The slack and tall frame design combined with fat tyres and wide handlebars make these bikes both very comfortable and capable – just ask the owners who rave about them. 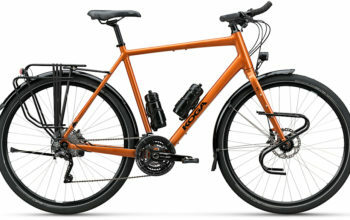 The 2019 Jones Plus SWB is the first sub-$2000 bike offered by this small bike brand out of Oregon, USA. Let’s inspect the features of this bike. The 2019 Jones Plus SWB. 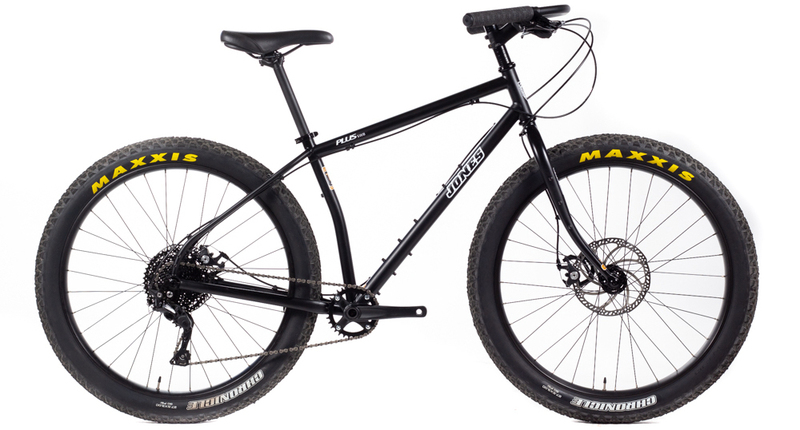 The Jones Plus SWB is an off-road touring bike with 3.0″ wide ‘plus’ tyres. 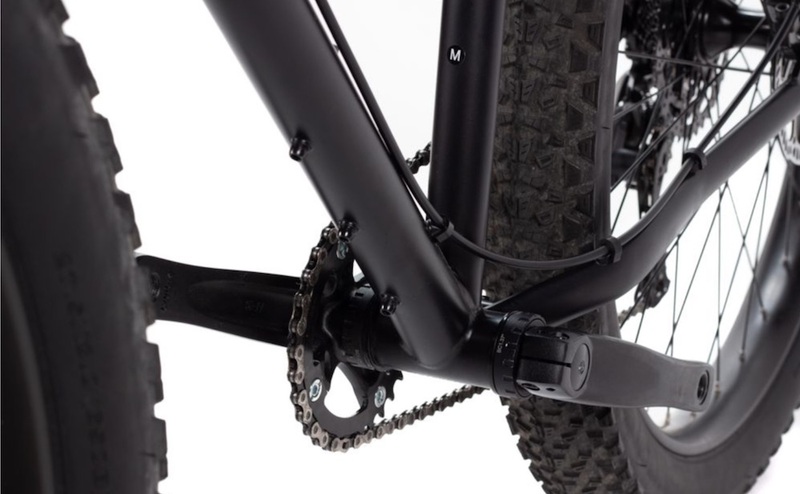 It slots somewhere in between a fat bike and regular off-road touring bike in terms of its capability, so it’ll be most at home on rough backcountry roads but will take a bit of sand or snow in its stride too. It uses non-heat treated steel tubing to keep the price down but remains just as strong by employing a thicker/heavier 4130 butted tubeset. 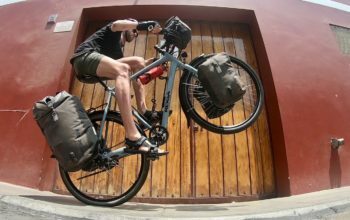 The best luggage setup with the Jones Plus would be with a bikepacking bag ensemble, however, the frame and fork will also fit racks if you prefer the ease of panniers. There is, of course, a Jones Loop handlebar fitted to this bike. The Loop bar has been a very popular alt handlebar due to the wide width and more natural hand positioning at the grips. There are various hand positions for holding onto the loop section too. 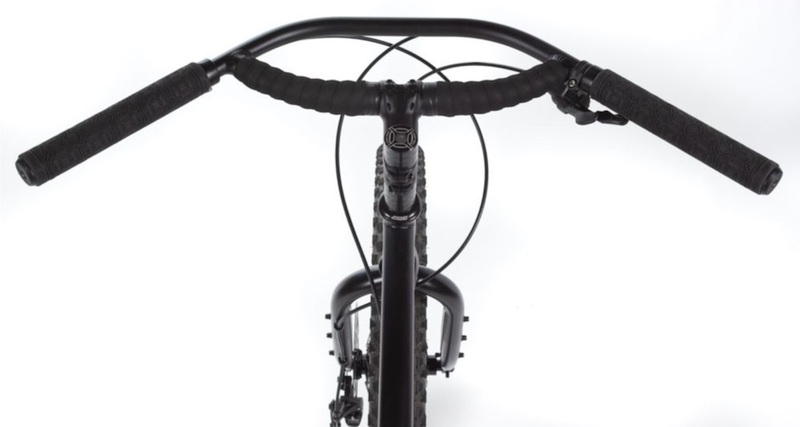 A handful of spacers under the stem allow you to adjust the bars to a height that suits you. 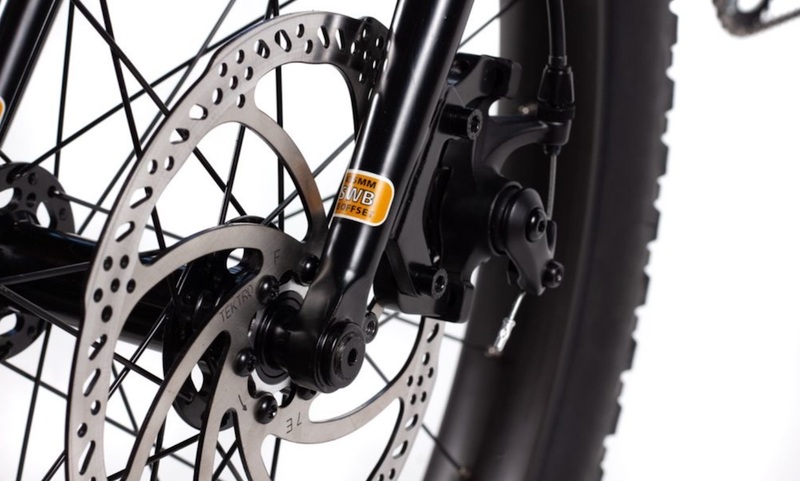 The bike features a 200mm front rotor which is normally reserved for downhill and enduro mountain bikes. 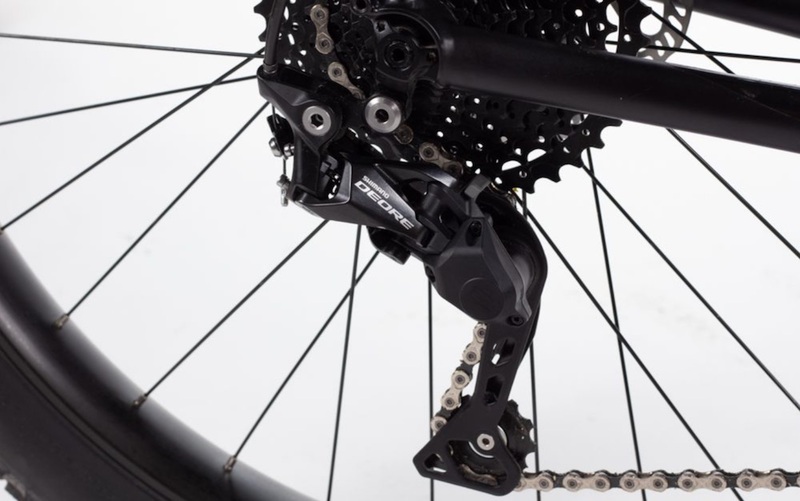 This gives the Tektro cable disc caliper a bit more power, better matching it with hydraulic braking performance. 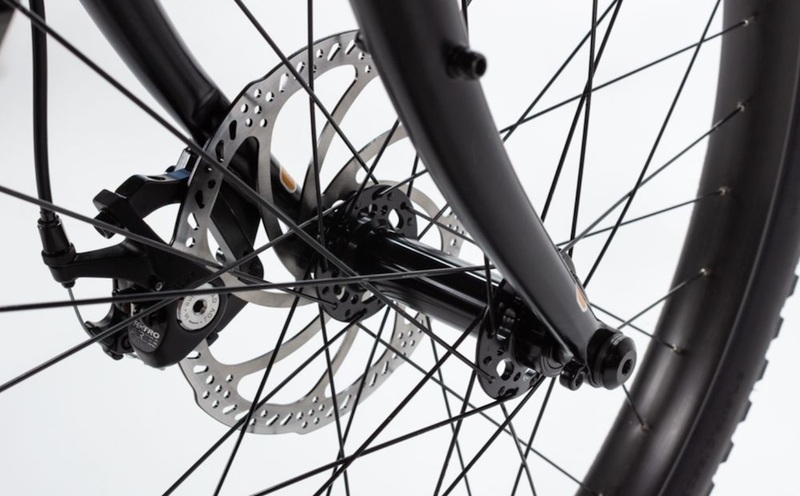 A 150x15mm fat bike front hub has been selected for the build; you’ll be happy to know there are now multiple dynamo hubs available for this size. The longish rake on the fork (55mm) is a particularly nice touch to assist with toe clearance. 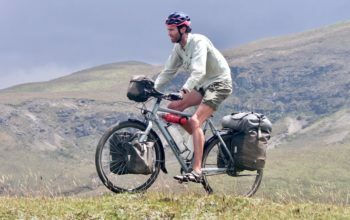 It can fit a lowrider front rack like the Tubus Duo, or alternatively has 2x locations for cargo cages, and the fork clears up to 27.5×3.8″ tyres! And up the back, there is comfortably clearance for 29×2.8″ or 27×3.0″ tyres. The frame has 3-boss mounts above and below the downtube, as well as a regular 2-boss mount on the seattube. Interestingly, the bottom bracket shell on the Plus SWB is 68mm wide while similar Plus bikes are built using the 73mm width. As you can space out the bottom bracket with spacers this isn’t an issue, it’s just an unusual specification. 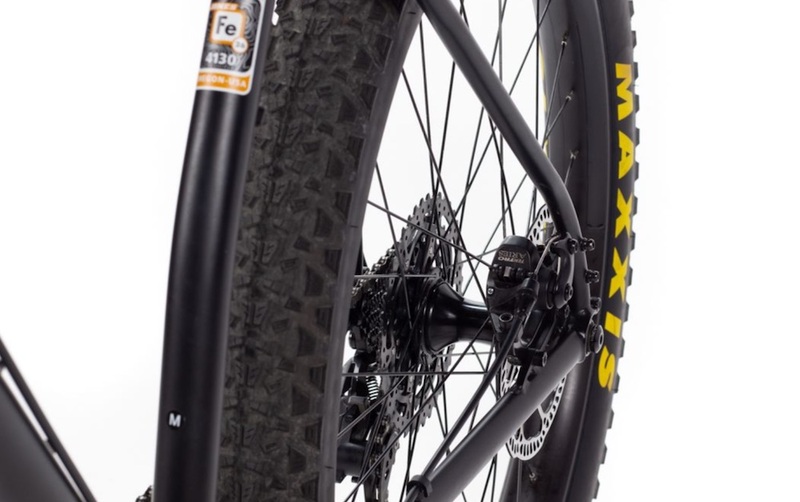 The rims on the Plus SWB are 50mm wide to appropriately match the Maxxis Chronicle tyres in the 3.0″ size. 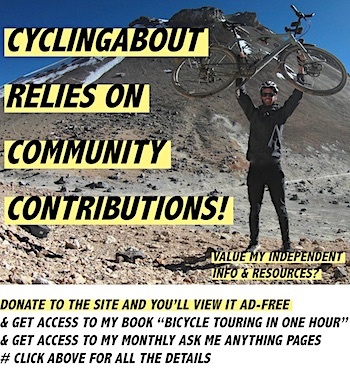 The tyres are fitted from the factory with tubes, but given the rims are tubeless compatible, adding tubeless valves and sealant should be the first upgrade made to the bike. 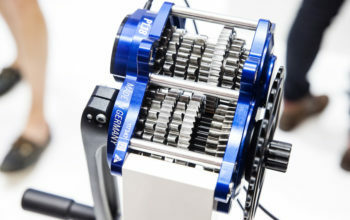 The 1×10 Shimano Deore drivetrain offers a gear range of 22-83 gear inches. 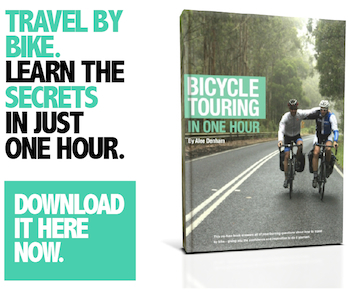 At a decent pedalling cadence, the slowest speed you can ride with this gear is 6.2km/h – a little higher than I’d like to see on an off-road touring bike. 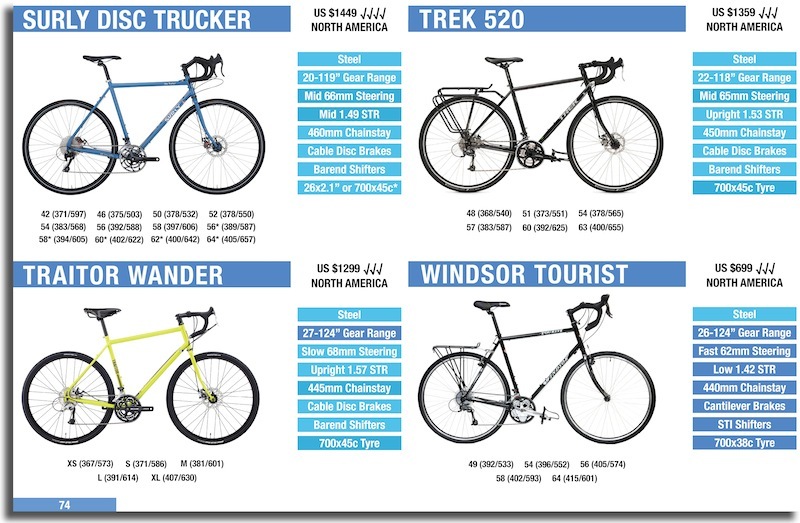 I’d be looking at fitting an 11-46t Sunrace cassette and probably even a smaller front chainring (USAMade components do sub-30t front chainrings for 104BCD cranks) if this was my bike, but I love cycling up in the mountains. Despite the massive tyres, there is still provision for full fenders on the Jones Plus SWB. 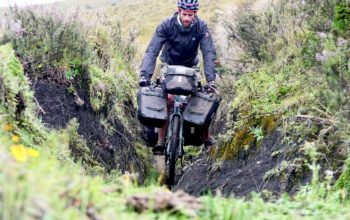 Unless you’re cycling in ultra muddy/snowy conditions, fenders are something you’ll really appreciate. 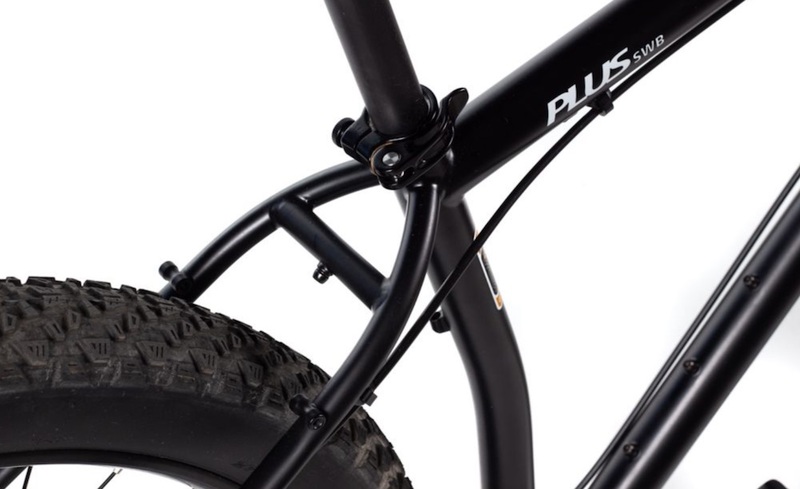 There are various fat bike fenders available, much of it custom-made in the USA. You can buy the complete Jones Plus SWB in small, medium and large (5ft to 6ft6) for US $1799.